1. Decide on your Unit. Power, Volume, or Master Volume. 2. Choose a model. EL34 or KT88 ! 180-120-69-51watt ? 3. Choose your Cosmetics : Front Panel & Piping in white or black. 4. Place your Order: Online Via PayPal or send through the Postal Mail. 5. Practice your Riffs, and Listen to Good music for solid influence ! All of the details are on our ORDER page ! 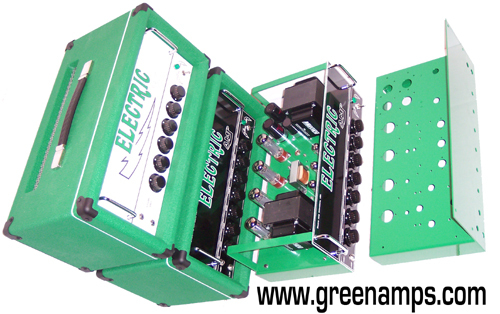 click on the GREEN 2x15 Cabinet for additional information. 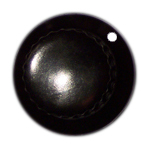 + Metal Input jack plates with Metal Switchcraft input Jacks. + Hi Quality Steel screws and washers for back panel. + ELECTRIC AMP Luv Handletm for super smooth handling when moving your cab. + Maple Skis on the bottom with recessed USA Steel mounting screws. + EA-USA 8-10 and 4x15 cab have tilt wheels and 2 sets of skis. ELECTRIC Cabinets are Alpha Tested, Designed and Made in production to deliver MONDO volume levels with added audio cabinet TONE. 8X10 Cab MONO 2800watts @ 4 ohm STEREO 4-10 1400watts @ 8 ohm, DIM: 51.5" X 16" X 29"
4X10 Cab MONO 1400 watt @ 4 or 8 ohm, DIM: 28" X 16" x 28"
6X12 Cab MONO 720watt @ 8ohm Stereo 3x12 360watt @ 16ohm, DIM: 43"x14.5"x30.5"
4X12 Cab MONO 480watt available @ 8 or 16ohm, DIM: 28.5"x14.5" x 30.5"
2X12 Cab MONO 240watt @ 8 or 16ohm, DIM: 28.5" x 16" x 217/8" HUGE SOUNDING VERTICAL CAB ! 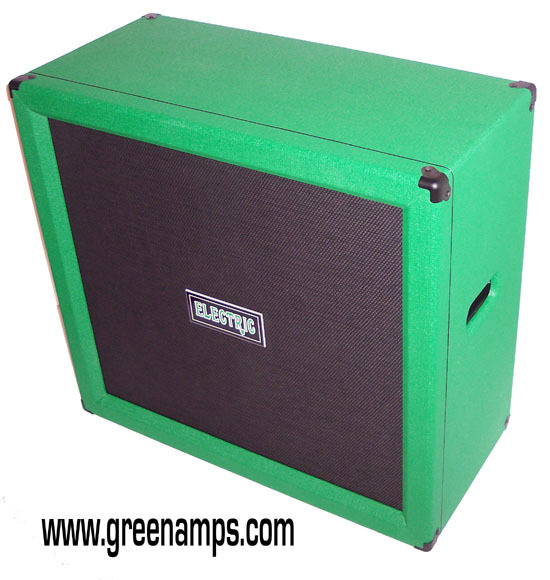 2X12 VH MONO 240watt @ 8 or 16ohm, DIM 217/8" x 14.5" x 28.5"
1X12 Cab MONO 120watt @ 8 or 16ohm, DIM 21"x16"x21"
4X15 Cab MONO 1800watts @ 4 ohm STEREO 900watts @ 8 ohm, DIM: 51.5" X 16" X 29"
4X15 DA Cab MONO 1800watts @ 4 ohm STEREO 900watts @ 8 ohm, DIM: 51.5" X 18" X 29"
4X15 FH Cab MONO 1800watts @ 4 ohm STEREO 900watts @ 8 ohm, DIM: 57.5" X 16" X 30.5"
1X15 Cab MONO 450watt @ 4 or 8 ohm DIM: 24" x 16" x 24"
4-10w/2x15 Cab MONO 2300watts @ 4 ohm, STEREO 1400/900watts @ 8 ohm, DIM: 51.5" X 16" X 29"